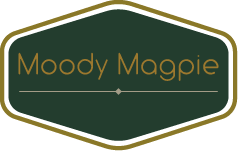 General Terms and Conditions of Moody Magpie were drawn up in consultation with the Consumers’ Association within the framework of the Self-Regulation Coordination Group (CZ) of the Social and Economic Council and will become operable as of 1st July 2017. Article 20 – Amendment to the general terms and conditions of Moody Magpie ? Disputes between a consumer and a trader over the conclusion or exercising of contracts relating to products and services to be supplied by this trader can be put before the Moody Magpie Disputes Committee, P.O. Box 90600, 2509 LP in The Hague (www.sgc.nl), by either the consumer or the trader, with due observance of that which is stipulated below. If, alongside the Moody Magpie Disputes Committee, there is another competent disputes committee that is recognized or one that is affiliated with the Disputes Committee Foundation for Consumer Affairs (SGC) or the Complaints Institute Financial Services (Kifid), the Thuiswinkel Disputes Committee shall preferably have jurisdiction for disputes that relate principally to the sales method or to providing services long-distance. For all other disputes, this will be the other disputes committee that is recognized by the SGC or affiliated with the Kifid. Moody Magpie guarantees the fulfilment of obligations of her members in relation to binding advices imposed on them by the Moody Magpie Disputes Committee, unless the member decides to put the binding advice before a law-court for verification within two months after de date of that advice. In case of law-court verification the suspension of the guarantee will end and the guarantee will come into effect again upon the court ruling becoming final and conclusive, whereby the court has declared that the binding advice has binding effect. Up to a maximum sum of €10,000 per binding advice Moody Magpie.com will pay this sum to the consumer. In case of sums higher than €10,000 per binding advice, the sum of €10,000 will be paid. In as far as the sum is higher than €10,000, Thuiswinkel.org has the obligation to take reasonable adequate efforts to pursue the member to fulfil the binding advice. Application of this guarantee requires the consumer to submit a written appeal to MoodyMagpie.com and to transfer his claim on the trader to Moodymagpie.com. In as far as the claim on the trader exceeds the sum of €10,000, the consumer will be offered the possibility to transfer his claim on the trader above the sum of €10,000 to Moodymagpie.com, where after this organization will pursue payment of the claim in court on her own title and costs. Moodymagpie.com will only amend these general terms and conditions after consultation with the Consumers’ Association. Vinkenbaan 18, 2082 EP Sanpoort-Zuid, the Netherlands.